This day aims to bring together Radio Amateurs interested in weak signal communications in order to give an impetus to this activity on the air. In addition to a variety of presentations, ranging from technical subjects to great operational presentations, there is ample opportunity for mutual conversations in a stimulating environment. This year DKARS have put together an exciting program of presentations. In addition to presentations by radio amateurs there will be a presentation on the new front feed system Apertif which is used in the Westerbork radio telescope. Apertif uses a focusbox with many emitters next to and under each other by so-called phased-array feed. The final effect is that the total dish antenna can examine a much larger area of ​​the universe, while through a clever combination of the various beams the resolution remains the same compared with a single radiator. The other presentations are about building your own solid state power amplifiers for 23 cm and 3 cm, and its use in an EME station. The final presentation is about building a multiband Tropo and EME station. In between there is ample opportunity to meet other amateurs and exchange thoughts. There will also be plenty of opportunity to also show some DIY stuff, so if you’ve had fun building something, then bringing it along will definitely be appreciated. Show what you have built to encourage others. Weak signal amateurs are those amateurs who like to be active on the VHF-UHF-SHF bands DXing, for contests, for EME work, via tropo scatter and / or aircraft scatter, to DIY on VHF UHF and SHF and research on propagation in which use is made of weak signals. This day focuses on all amateurs interested in all weak signal modes including CW, SSB, WSJT. on a limited scale a tour may befavourable at the DT. Unfortunately due to the moon phase a demonstration will nto be possible. At the end of the day there will still be an opportunity to have a joint dinner at the local Chinese (at your own cost, of course!). On behalf DKARS we hope for a large turnout, and in addition to an interesting day, also give a boost to the weak signal activity on VHF-UHF-SHF. During the day there is coffee and tea available and a catered lunch. Participants must therefore pay a small contribution towards the cost. At present the exact cost is clear but the contribution will be about 10 Euros per person. Any sponsors are welcome to make a donation, contact via PA0EHG. Registration for participation is, as usual, necessary at ASTRON Interested parties can sign up no later than October 1st. This can be done by sending an email to pa0ehg@amsat.org and every registration will be confirmed as quickly as possible.. If you come by car, in order to arrnage access to the ASTRON complex, you should also give the registration number of your car. Wireless telegraphy was in its infancy when in July 1898 the Dublin Express newspaper invited Marconi to set up a wireless station aboard the Flying Huntress anchored at the race finish line. Results from the race were transmitted back to the Harbour Master’s office in Kingstown and telephoned onward to the newspaper offices. Special editions of the newspaper with results of the races were on sale in Kingstown before the yachts had returned to port. This was the first use of wireless in reporting on a sporting event. The races took place in Dublin Bay just off the town of Howth. To commemorate the 120th anniversary of this historic event, EI0MAR will be celebrating by being operational from the Martello tower in Howth (home of Ye Olde Hurdy Gurdy Museum of Vintage Radio) on Saturday 21st July and a special QSL card will be available for all QSOs and SWL reports. A spark transmitter similar to that used at the Regatta will be on display. The station will be active from about 1000 to 1600 UTC on HF and will also monitor 145.525 MHz FM. Visitors are welcome to come along and join in the fun. You can follow The Hurdy Gurdy Museum of Vintage Radio on Facebook for updates. The Secretary-General of the International Telecommunication Union has said that the use by Kosovo of Z6 callsigns is “unauthorised and illegal”. The Z6 prefix is unallocated by the ITU. the ITU represents an unauthorized and illegal usage of this international numbering resource. Despite the above, Kosovo remains a DXCC entity and there is no reason why it shouldn’t. The ITU can only allocate callsign blocks to states which are members of the ITU. Kosovo has applied for the required membership (which is related to membership of the United Nations) but have been blocked by Serbia, the same state which requested the investigation into the use of the Z6 callsign and by China and Russia. The problem for the ITU is that they make a presumption that they own all callsign blocks worldwide. For the management of international telecommunications this is a good presumption. But this policy disenfranchises any emerging country which, like Zosovo, is blocked from ITU membership for reasons which are, effectively, political. While the ITU would claim to own the right to allocate callsigm blocks, and that role is absolutely essential to the smooth operation of international communications, they only allocate to ITU member countries. The big problem for the ITU is that emerging countries have the same aspirations as other countries and to exclude them from the ITU club does not mean that they are, in reality, excluded from the use of radio frequencies and the alphabet from which callsign blocks are derived, both of these being worldwide and international in nature and accessible to all countries regardless of their ITU status. To exclude emerging countries from the ITU effectively excludes them from the controls and disciplines which the ITU represents – and that is not a good place to be. to radio services of other countries. The converse is that states which are not ITU members are not bound by the ITU Constitution, the Convention and the Administrative Regulations. What this means is that. had Kosovo been an ITU member, their actions in using the Z6 prefix would have been illegal. However, because they are not a member of the ITU, the actions of Kosovo in using the Z6 prefix, while it may not be recognised by the ITU, is not illegal. Article 51 of the ITU Constitution makes it clear that it is for Member States to determine how they deal with communications from non-Member States. So it is completely open for all ITU member states to receive telecommunications traffic of any sort from any non-member state (the converse, of course, is that Member States can declare that communication with any named State is not permitted). ITU Membership comes from most members of the United Nations. Kosovo’s desire to become a member of the UN has been blocked by two countries in particular, China and Russia, both of which have the power of veto.. This has not stopped Kosovo becoming a member of some UN-related institutions, such as the International Monetary Fund and the World Bank. The ITU authorises more than just radio callsigns, it is also responsible for the allocation of international telephone dialing codes. On 15th December 2016 Kosovo started using the international dialing code +383, this code having been allocated by the ITU. The ITU also authorised a dialing code for Taiwan, despite China having blocked UN membership for that country. It is difficult the believe that the ITU does not have a procedure for allocating callsign blocks to non-member countries when, clearly, such a procedure exists for telephone codes. The ITU does seek to be politically neutral. But to be unable to allocate an emerging country (now over 10 years old) for reasons which, at their root, are politically motivated, dilutes the claimed neutrality of the organisation (regardless of the fact that the politics are at a distance from the organisation). The ITU needs to be able to stand above such politics and, if they wish to claim to be responsible for worldwide callsign allocations, needs to bring forward a process where non-Member States can access their allocation system. Otherwise their pronunciations of illegality are false, small minded and designed only to appease. The U.R.I. (Italian Radioamateur Association) club of Trapani will celebrate the history of TRAPAI RADIO/IQM with the special callsign II9IQM from the 23rd until 30th June. It is assumed that in the first decade of the last century, a group of private individuals set up in this city a center for maritime commercial radio communications, which acted as a bridge between the mainland and ships in transit in the sea spectrum in front of northwestern Sicily . The first location was installed near the industrial area, on the turret where the Licari company stands today. Towards the Fascist period the coastal station was transferred to the Villa Nasi in the Lazzaretto area, and subsequently absorbed by the Ministry of Post and Telegraphic and Telephone Communications, with an allocation placed in the same central office within the Post Office building, still functioning today. The coastal station of Trapani radio, international callsign India Quebec Mike; after the last world war, he had his final arrangement in the Ronciglio area, as shown in the photo above the article, until the termination of the service, which took place in December 1993, when the administration passed to the Telecom group Italy, and therefore the suppression of the analog system replaced by the automated one. All the radio operators, employees of the Ministry of Posts and Telecommunications, were transferred to the post offices with the duties of the desk clerk. 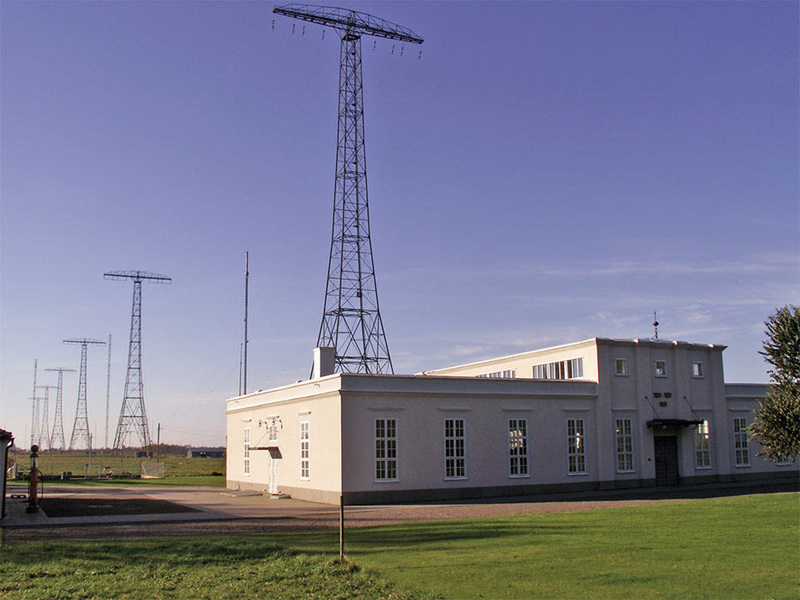 For about 70 years, during the existence of the coastal station, had all its professional splendor, thanks to the ability of the staff in service, which guaranteed 24 hours the safety and the safety of human life at sea, on frequencies and on pre-established bands assigned by the International Telecommunications Union. It carried out radio traffic in VHF on channel 16 (corresponding frequency 156,800 MHZ) for emergency assistance (MAY PAN) and security (SECURITE ‘) assistance while carrying out commercial traffic on channel 25, (corresponding frequency 161.850 MHZ) to carry out requests for radiotelephony conversations to and from ships in transit within a radius of about 100 nautical miles. The coastal station, at certain pre-established times, in principle 3 times a day, spread the weather report, notice to sailors and storms, dictation radiotelegrams, and became the protagonist during the rescue operations to ships in difficulty, often entered in operational support to the Port Authority, through the repetition of messages in order to make communication more efficient, having a strategic geographical location. The same service was carried out on the medium wave band, on the international call and distress frequency 2182 KHZ and on the working frequency 1848 KHZ, a frequency that today falls within the band portion assigned for amateur radio activity. The medium waves (1605 khz 4000 khz) covered considerable distances; usually a ship when it lapped the shores of Gibraltar, was certain to be heard, the same if the ship was on the opposite side of the Mediterranean, once crossed the coasts of Greece, at the height of the island of Zakynthos, was able to carry out the radiotelephone service in stock directed towards crew members. 25 years have passed since its definitive closure, to us local radio-amateurs, the pride of organizing a worthy commemoration, reporting the city of Trapani, at the dawn of a time now buried in oblivion, in order to make echoing, at least the knowledge in citizens, that the coastal station of Trapani radio, carried out a benevolent service, and is to be counted in history, among the important things lived, which can be placed on the patrimony and heritage of humanity. The European Radio Amateurs’ Organization announces a new party on the air, this time with the motto: “discover the WARC bands: 12m“. Remember this is not a contest, it is just a radio meeting with a few simple ‘rules’, better to call them recommendations. Purpose: 12m band is only 100 KHz wide (24.890-24.990 MHz) but it is quieter and less noisy than others, mainly on weekends when the big contests are underway. The idea of this party is to promote the band and its calm and peaceful use, ragchewing, having fun and meeting other hams all over the world. Of course also SWLing is welcome. Date & time: June 16th and 17th, 2018, Saturday and Sunday, 00:00-24:00 UTC. Bands & modes: these are the recommended modes/frequencies (+/-) for the 12m band: CW/24.890-24.915, digital/24.915-24.940, and SSB/24.940-24.990 MHz. More detailed info. Also talk about QSL interchange. Tell the truth. Say “no, thanks” if you are not interested in QSL cards. But if you would like to have a memory of your contact, feel free to use our EuroBureauQSL (see below). Following a spectrum award by ComReg, the Irish regulator, the entire 4m band (69.9 – 70.5 MHz) is now available to Irish licensees. At the last IRTS Committee Meeting a sub-committee was convened to develop band plans and propagation beacons for additional spectrum included in the spectrum award. Responses to the consultation are requested as soon as possible to “newspectrum@irts.ie” to arrive not later than 30th June 2018. The special event callsigns GB0GKA, GB0GKB and GB0GKC will be active during July. The stations commemorate 90 years since the establishment of Portishead Radio, which commenced operations in July 1928 when the UK’s GPO (General Post Office) moved their hf maritime transmitter site from Devizes to Portishead. GKA was the callsign used latterly for Portishead’s main WT broadcast frequency while GKB and GKC were the main WT working frequencies. To subscribe enter your e-mail address.